Published on January 12, 2014 in Crime in T&T, General T&T, Passed on, People's Partnership, Security and Violence. 8 Comments Tags: Crime in T&T, Politics, Raffique Shah, T&T Govt. A tragic consequence of spikes in violent crimes such as we experienced in the first week of 2014, is the baying of the hounds, the blood-curdling cries for revenge that are as transient as the surges are cyclical. As soon as the murder rate settles back to what is normal for us, meaning one-a-day, the society will shift into the muted mode. People will hardly note the killing, and the police and government will enjoy a respite from outrage…until the next surge. Published on January 7, 2014 in Crime in T&T, General T&T, People's Partnership and Politics. 14 Comments Tags: Crime in T&T, Raffique Shah, T&T Govt. We have tried every conceivable strategy, many inconceivable ones, and some downright dotish crime plans. And we have failed—miserably so. From Anaconda to Iguana, Baghdad to Budapest (where we lost young footballer Akeem Adams to a heart attack, of all things! ), nothing has stopped the march of the criminals. 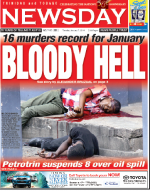 Published on January 7, 2014 in Crime in T&T, General T&T, Media, People's Partnership, Politics and Security. 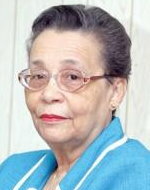 2 Comments Tags: Crime in T&T, Gary Griffith, Joel Julien, T&T Govt. SIX out of every ten people murdered last year were involved in “serious criminal activities”, National Security Minister Gary Griffith has said. Griffith said because the majority of murders committed in this country for 2013 was criminals killing criminals it was hard for the Trinidad and Tobago Police Service to protect them.